You are currently browsing the archives for June 2017. 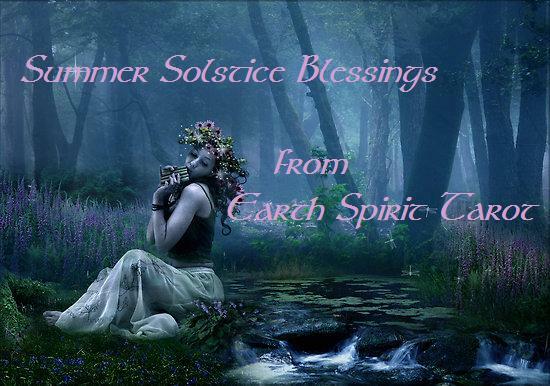 July Blessings everyone! Yet another month has zipped right past us and we find ourselves at the midway point of the year. This month we have the 4th of July and Bastille Day to celebrate. Chiron turns retrograde, Venus enters Gemini, and Mars and Mercury move into Leo, followed by the Sun later in the month. If you’re looking for some unique handcrafted items, come visit, Faery Trinkets where I will have my Barefoot Sandals, bracelets, earrings, necklaces and crochet items on display for sale. I’ll be adding some crocheted items as well soon, and you can also find these items in my Etsy shop. Happy Sunday everyone! I hope this weekend finds you all well. Today brings a bit of high energy, confidence and enthusiasm because of the square happening between Mars and Jupiter. We just need to be careful we don’t become so overly optimistic that it clouds or perspective and judgement. This evening the Moon moves into heart opening Leo, and some may start feeling the effect of tomorrow’s trine between Mars and Neptune, which has been building up for the past few days. Let’s see how this week will pan out for us! Monday brings a trine between Mars and Neptune our way, along with a lighter vibe that stimulates our sensuality, creativity and community spirit. With its strong magnetic attractiveness and sultry charm, this is an ideal time for passionate romances. While this isn’t a transit known for its high energy, we should still find ourselves motivated to express our creativity and good sense of rhythm through dance, music, sculpture and other physical creative outlets. We become more in touch with the subtle vibrational energies that influence our lives now, so its a good energy for making some effort towards supporting our spiritual goals, open our intuition and practice compassion. Tuesday brings us a square between Mercury and Jupiter, which can bring some of us an information overload. We need to be careful, because it can be too easy to miss or neglect some important details with all of this brain activity. What we need to be careful of is that “pie in the sky” thinking, or having ideas and making plans that are a bit too grandiose. There is a real need to be careful of trying to over-compensate with more self-confidence, faith or optimism than we actually have. Another angle here is a tendency to over explain or give out too much info that comes across as nervous rambling. Or we can encounter others who are doing this and become a bit too judgemental. So this can be a good opportunity to learn something about how we jump to conclusions or place blame, especially if a situation triggers something that challenges our beliefs. Adding to this is a harmonious trine between Mercury and Neptune, where our imaginations and intuitions run high, making some of feel that we are in the right place at the right time. This could help to balance out the Mercury/Jupiter energies a bit too. We have a Void of Course Moon in the late evening. Wednesday morning starts us off with a Virgo Moon, where people tend to become more rational and practical. Its the small details that seem to be more important to us now, in some cases more than they are in reality, which can lead to arguments over what seems like insignificant little things. We do become more disciplined and responsible, careful and diligent, but only with those small details. Its not a good time for making any large, risky or important decisions now because we tend to not be tapped into our intuition enough to foresee what the consequences of the future will be. We also have a conjunction between Mercury and Mars, making it a time of quick wit and strong mental impulses. It makes for a productive day at least and is a good time for plans being put into action. Thursday brings us more activity for Mercury, which is in an opposition with Pluto. This is a time when we are not satisfied with superficial communication and the likelihood of something we say or write triggering a hostile reaction is much greater. Power struggles can erupt under this transit and we may resort to interrogation methods so that we can get a view of the big picture. This transit can manifest as a compulsive need to talk, question, or even badger. You might be given (or give) the third degree. Now is not the time to become obsessive about the small details or for getting into unproductive power struggles. We need to keep in mind that decisions made under this transits effect are not going to be objective ones, so it may be better to hold off on any important decisions. By this evening , when the Moon goes Void of Course, we will probably be feeling that mental exhaustion of the past couple of days. Friday morning brings us a balancing Libra Moon. The Moon in Libra creates this feeling of harmony and calm, something we all need after the energies of the past few days. We find we more easily connect to people, compromise is more likely and conflict less so. Libra is a social sign as well, perfect for getting the weekend started. We do have one challenging transit today, a square between Venus and the North Lunar Node. We may start noticing that the people in our lives are not giving us the encouragement and support we need where fulfilling our life purpose is concerned. Disagreements and upsets with others at this time could make us feel less positive about our life and if this is the case, we need to look a bit more closely at what it is that we are disagreeing about. Venus also rules finances and resources so we could run into issues around possessions, resources and finances that call for adjustments now. This isn’t a very long transit, lasting only a few days. So the things we come across may not be major issues. But if something significant does rear its head at this time, it could be a sign that we have something that needs to be looked at more closely. Saturday kicks off with Chiron turning retrograde. a lot of you may feel the energies of this retrograde station for up to a week prior and after today. Chiron, also referred to as the “Wounded Healer” usually focuses on things like healing, health, and pain (spiritual, physical and psychological). Some may see some health issues coming to the fore during this time. It’s also a time when we have the opportunity to discover previously unrecognised abilities within ourselves. These are usually the most battered and beaten down parts of ourselves which are, in truth, our greatest strengths. They just have not been developed or nurtured so remain in a state of woundedness. This causes a lack of growth in our lives that can hold us back and keep us from breaking through to that next level of our evolution. We still have that gentle balance from the Libra moon as well to help us in these areas. Sunday brings an intense energy as Mars challenges “burn your bridges behind you” Pluto. Avoid obsessive-compulsive people, or at least give them extra space so they don’t go off on you. Mars and Pluto doing battle in the skies can create a very intense showdown! This is a time when tempers can flare, power struggles can emerge, and aggressive action could seem like the only way to handle a conflict. If you feel yourself becoming entangled in a mounting tension with someone, you might do well to back off a bit to let the adrenaline subside on both sides. This is an opportunity to observe what gets triggered inside of us and what kind of interaction triggers those feelings. It can be valuable to use the experience as a way to vent old frustration, work through unresolved anger, and ultimately heal our deeper wounds by letting go of whatever holds us back. Sexual energy can run very high under this transit, so handle it wisely. Adding to this intensity is our afternoon Void of Course Moon and then the Moon shifting into brooding Scorpio in the later part of the afternoon. Scorpio is where emotional charge and sensitivity increases. Its a time where we need to be careful not to get swept away by irritability, mood-swings, hysteria, big and small excitements, and a sudden desire to quickly change everything. People tend to become more conscious of self and others, and see everything in dark tones with the Moon in Scorpio. It may be best for some quiet alone time for the afternoon/evening. Happy Sunday everyone, and Happy Father’s Day to all of you Dad’s out there! Today we are under the vibes of an Aries Moon, which is great for physical activity. Being a fir sign, it could also point to a warm day and BBQ fun! We also have the Sun in a friendly sextile with Uranus today, which pushes us do something out of the ordinary today. While that is going on, we have Mercury in an opposition with Saturn. So we may be thinking about all of those things we should be doing, but don’t really want to do. Its best to keep activities friendly and light today. Now, lets see what the rest of this week has in store for us! Monday starts off with a square between the Sun and Chiron. When these two planets come together in a challenged position we tend to find our patience and confidence feels a bit strained as we feel a need to break free of chronic constraints. Motivation and self esteem can drop but remember we have that energy from the Sun and Uranus to help us out here too. So it won’t feel as bad as normal. Use this time to take a fresh approach to situations that have you feeling stuck. We have a Void of Course Moon in the evening, before the Moon moves into earthy Taurus, setting the stage for our Summer Solstice. When the Moon moves into Taurus, we feel the tension of the past few days start to drop away. People tend to become calmer and peaceful. We feel secure and stable. There is also this tendency for our thoughts and reactions to slow down, making us feel a bit slow in getting ourselves going. This is the best time for taking care of the home, running errands, restocking supplies and tending to routine maintenance. Its best to hold off on important business now,as well as signing of contracts or important papers, because we may make mistakes due to a slowed down reaction and thinking process. Tuesday sees the Sun moving into Cancer today, so Happy Solar Return to all of you Cancerians out there! The Sun’s entry into Cancer marks the Summer Solstice in the Northern Hemisphere and the start of Winter south of the equator. It’s a major turning point of the year in which we grow more conscious of our roots and the family patterns that continue to shape our lives. When the Sun is in Cancer, things may get a little moody and emotional. We have a lot more happening in the skies today too! Venus is mingling with Neptune, which can open the flow of artistry, romance, creativity and faith. Socially and romantically, this is a time when things seem to run more smoothly and may even seem a bit magical. So it’s important to be clear in your intentions and what you truly want. We also have Mercury in a sextile with Uranus, and a challenging square with Chiron. The Mercury/Uranus transit is where our thoughts are inventive, original, and we may secretly enjoy shocking those around us with some of our more outrageous opinions and insights. It’s all in good fun though! For those who are used to a predictable lifestyle, you may suddenly feel inspired to do something new, out of character, or to experiment with new ideas. And those of us who tend to be impulsive normally, we may find new ways to express this. The Mercury/Chiron transit can make us feel as if our mental focus and perceptions are a bit strained. It may be tempting to sink into cynicism as a way to deal with what seems like a no-win situation. On the other hand, this transit could bring your mental perspective to a kind of “healing crisis” that forces you to get a better grip on the ideas, communication and frame of mind that have been problematic for you. Wednesday starts off with an early morning Void of Course Moon. We have a conjunction between the Sun and Mercury, making this a good day for talking and communicating our emotions. Mercury also moves into Cancer today, making the next 4 weeks a great time for tapping into our creative imagination. So take advantage of this and find creative ways to communicate, like through journaling, writing or any creative form you can use to express your feelings. Later in the evening the Moon shifts into Gemini. When the Moon is in Gemini we become active, feel stronger emotional sensitivity and a need for socializing. We also have the tendency to fall under influences that can lead to the danger of getting of course and making mistakes. We tend to buy things that we don’t really need, waste time with contacts that are futile, and visit unnecessary places and events. Emotions may become amplified but shallow. We may easily meet new people now, however half of the contacts we make will later turn out to be empty. Some of us will try to do everything all at once, which later leaves us stuck with unfinished projects and ideas. Thursday carries on with a pleasant vibe, but some of us may start to feel ourselves moving into a quieter frame of mind in the evening. Friday is our Cancer New Moon, which will take place in the evening, after a brief Void of Course session. We now have 5 out of the 10 planets that we look at in astrology in the element of water, which means emotions are going to be heightened. Cancer is a nurturing sign, and we have emphasis on the action signs of Aries, Cancer, Libra and Capricorn now, meaning the pace of things is going to pick up quite considerably. Mars is now in harmony with Neptune, so putting constructive action into things that nurture our spirit is important for this New Moon. Saturday will still be under that Cancer New Moon energy, but we also have a trine between Venus and Pluto today. This is where deeper aspects of love become apparent, without the usual stresses and strains. If you have been wanting to deepen or renew a previous commitment in a relationship, now is a good time to do so. This can be an excellent time for finances and for relationships. Sunday brings a chance in tone with a square between Mars and Jupiter. This is a transit that can bring us a greater sense of enthusiasm, confidence, and energy. However, it can also make us a bit overly optimistic in our perspectives and assessments of what has potential. It’s a double edged sword really. The motivation and enthusiasm we feel will allow us to take brave and bold steps towards our goals as we feel a great need to expand those things that we are working on and our focus is on the big picture and future growth. The downside is that we may feel forced to take these steps due to moral coercion rather than choosing to do so freely. For some, a need to prove themselves to others can come across as being a braggart, arrogant, or trying to inflate their own self worth. The trick is to not take things too personally, to not let the ego get in the way of rational thinking now. We have a Void of Course Moon in the evening, which then sees the Moon shift into open hearted Leo just before midnight. Leo, is where we feel more energetic and optimistic. We feel like we can do anything! We crave compliments and appreciation, and are generous with kind words to others. So its will bring a good start for the coming week. Happy Sunday everyone! I hope you all have had a good start to this new month. Today has a bit of a serious and responsible vibe to it with us still being under the influence of a Capricorn Moon. its a good day for getting projects done or for doing something for our spiritual well being, due to psychic Neptune still being active as well. Let’s see what this week has in store for us! Monday is a quiet one, with energies from the Capricorn Moon still with us for most of the day. By the evening the Moon will go Void of Course. Just after midnight, on Tuesday morning, the Moon moves into Aquarius, which brings us feelings of openness with a sense of inner freedom. Our emotions become more alive and we feel we can express them more freely. What we can’t cope with are limitations being imposed upon us or pressure from others because our main focus is on our inner feelings of independence. We tend to have a sense of emotional coolness or detachment at the personal level, combined with an emphasis on idealism: such is the nature of the cycle we are now entering. We have a tendency to allow ourselves more freedom. Tuesday will be a mental day with Mercury being very active. We have a trine between the messenger planet and Jupiter, and then a challenging square with Neptune. Our morning can be filled with brilliant ideas that we want to share with others. Its also a good time for stepping back in order to get a broader overview of our projects that we are working on. Later we may start to feel our mental focus becoming a bit clouded, lethargic or confused as Mercury squares off to Neptune. So try to give your mind a rest as we move into the evening. Wednesday is another quiet one for us, but we still have that Aquarius Moon energy that helps us to reach out to others and connect. Thursday starts with a Void of Course Moon that moves into mystical Pisces mid-morning. A Pisces Moon can bring about feelings of romance, heightened intuition, mystical and dreamy moods, and an interest in the unknown, religion and all that is magical. We tend to become softer, sentimental and more tender, speaking words of kindness and complimenting those we love. We also tend to have this deeper understanding of the hidden meaning of life, events and things, as well as more intimate perception of beauty, art, poetry and music. We also have the Sun opposite Saturn today, and Neptune is slowing itself down to turn retrograde. all of these energies can have us feeling tired and wanting to retreat from the chaos of life. Try to hold off on anything important that requires a clear mind and energy if you can. Friday is the day that Neptune begins its retrograde cycle. We may feel a thicker concentration of Neptune energy for about a week prior and a week after this day. Things like having vivid dreams, an active imagination, feeling foggy headed and confused at times and then feel our intuition flowing freely at others all fall under this transits influence. Some may experience a turning point in a situation that has been unfolding over the past few months, especially instances that require us to surrender to something that is much greater than ourselves. Something else that we may experience are a sense of longing, disappointment, disillusionment, depression, low energy and fatigue..all as a result of us coming to some internal acceptance/resignation regarding what really needs to be done in our lives. Others may suddenly feel a sense of relief or as if a burden has been lifted. We also have a sextile between the Sun and the North Lunar Node, where our contacts with others becomes easy and natural. We find that others cooperate with us, and circumstances are such that we have a feeling of growth and direction. Saturday sees the Moon turn Void of Course just after Noon, and then it starts its shift from dreamy and diffused Pisces to fired up Aries in the evening. Some may actually feel this shift more than others. An Aries Moon tends to bring conflict more than most times, with emotional tensions growing, people becoming short-tempered and impulsive. Some may show a readiness and fearlessness to act in an extreme situation. Even the sweetest tempered person can become a bit mean under this moon. However, it becomes easier to shake old problem and the weight of tiresome responsibility. We want to free ourselves from everything that bothers us and makes our lives feel uneasy. Sunday brings us a sextile between the Sun and Uranus, and an opposition between Mercury and Saturn. The Sun/Uranus sextile is a fun transit, where we become more open to being spontaneous and others seem to appreciate our quirkiness a bit more. Breaking out of old and outworn habits is a good goal during this transit as we seek out new things and experiment with things that may seem out of character. While we may find that it is really easy to break from old routines, we need to make sure we don’t become too reckless or feel restless and dissatisfied with our ordinary lives. It can help to dig a bit deeper and see what it is that is driving that hunger for something new now. The key to this transit is flexibility! The Mercury/Saturn opposition can have us facing some challenges where communication is concerned, making it feel as though we are struggling to get our point across to others. We may face delays, have to deal with red tape, and can have moments where we feel as if we are forgetting something important that we just can’t put our finger on. If you are prone to depression or self-esteem issues you will need to give yourself a bit of space and love, because those feelings can be amplified during this transit. Its a better time for being on our own rather than being social. Tasks that require research or study can help to keep our minds occupied now. It’s definitely not a day for making important decisions, signing contracts or making big investments. Happy Sunday everyone and thank you all for the lovely birthday wishes yesterday! Here we are at the start of a new month and nearly halfway through the year already. We have some tricky energies in play today, starting with a challenging aspect between the Sun and Neptune. On one hand, we may feel stimulated to open up our intuitive side, while on the other hand, we may feel like sleeping in today. If used right, this can be a creative and healing transit. We just need to listen to our inner voices a bit more now. We also have fiery Mars moving into watery Cancer today, a position that is not an easy one for Mars because it makes it’s sharper edges softer and more diluted. Its a good energy for working on home projects though and this will be with us until mid-July. OK, let’s see what the rest of this week has in store for us! Monday starts us of with a Void of Course Moon that will become more focused when the Moon moves into Scorpio just before Noon. We can get a lot accomplished over the next couple of days if we put our minds to it with this energy. Mercury is also quite active today, with a sextile with Chiron and a challenging square to the North Lunar Node. The Mercury/Chiron transit brings us the opportunity to think and reflect on our pain as well as to talk about it. And sometimes that is all that is needed to get the ball rolling on healing ourselves. However, we will need to put a bit of effort into healing if we want something positive to come from this transit. It’s a time where our spirits feel a bit more uplifted and buoyant because we feel, for once, that we can actually see that light at the end of the tunnel…and no it isn’t a train coming to run us down either! The Mercury/North Node transit can compel us to do a complete 360 regarding where we are headed on our life’s path. Some may also find that, at this time, we have to express some information or a point of view that isn’t favourable or welcome to others, or it may feel like a real challenge to get our point across. If you find yourself in this kind of scenario, don’t go overboard trying to stand your ground. Instead focus on what needs to be said and how best to say it. Tuesday brings some shifting energies our way, with Venus moving into Taurus, and Mercury moving into its favourite sign of Gemini. Venus in Taurus likes those sensual pleasures and manifesting its desires and needs. Some will find they are drawn towards an artistic direction, others will focus on the making money aspect of things. Mercury in Gemini tends to bounce from one quick project to the next, so these are the energies we will be working with for the next month. We also have a trine happening between Uranus and the North Lunar Node, and this is something that some will feel for up to a week prior and after today. Its a time when we feel that anything is possible because the world seems to just open up to us in ways we haven’t perceived before. The reality of this is that we are probably more open to the world around us than normal now, hence our ability to see the greater potential is much brighter and clearer. Wednesday starts us off with a Void of Course Moon that stay with us until just before midnight, when the Moon shifts into Sagittarius, bringing some peace and stability. We tend to become a bit more orderly and calm, are ready to follow routines and rules and have a need for giving and receiving advice and recommendations. We may find a increase in our interests in social life and where we fit in. It does, however, put us in a risk-taking mood. A need to be in motion makes us very restless if we get bogged down with mundane chores. It’s a good time for speaking our truth, saying it like it is, but we also need to be careful that our words don’t come out with blunt force. The best way to enjoy and us this lunar energy is to keep it light and upbeat. Thursday is our quiet day to take a deep breath before Friday’s Full Moon. Friday’s Full Moon is in Sagittarius and on the opposite side we have the Gemini Sun. This is actually forming what is known as a T-square, and we are being challenged to put things together that may seem a bit contradictory. Gemini just wants projects to move quickly along, where Sagittarius wants to do those things in a big way. We can still make progress on those bigger projects though if we break them down into smaller and more manageable pieces. At the base of this T-square we have Neptune, which will be challenging us to open up to a higher vision. Neptune works to burst illusions and open us up to the truth. Some will be affected by wanting to just escape from this now, and taking a quick short trip isn’t a bad idea at this time. We also have Jolly Jupiter turning direct today, which brings us a wave of luck. What we start during this is likely to be met with success, so take advantage of this potent time. Lastly, we have a sextile between Venus and Mars, which brings an opportune time to take a more balanced approach to any conflicts, problems, and goals that require a lot of effort. Having a good balance between a gentle approach and firm action will help quite a bit. It does make a good time for hashing out negotiations and issues because, even though some communication may feel aggressive and determined, it will be tempered with sensitivity and fairness. Saturday starts us off with a Void of Course Moon that will be moving into Capricorn just after Noon, pushing us to accomplish some tangible things. Adding to this is a gentle and soft energy coming from a trine between the Moon and Venus, so balance things out with work in the morning and then treating yourself to something that soothes the senses in the afternoon/evening. This energy will be with us into Sunday as well. Sunday itself is a quiet one in the skies.